This game offers 2 variations for play! The Basic Dice Game and the Alcazaba Variation. The basic dice game is a game in its own right from the Alhambra family and contains everything needed for play. The rules for this game are in this booklet. 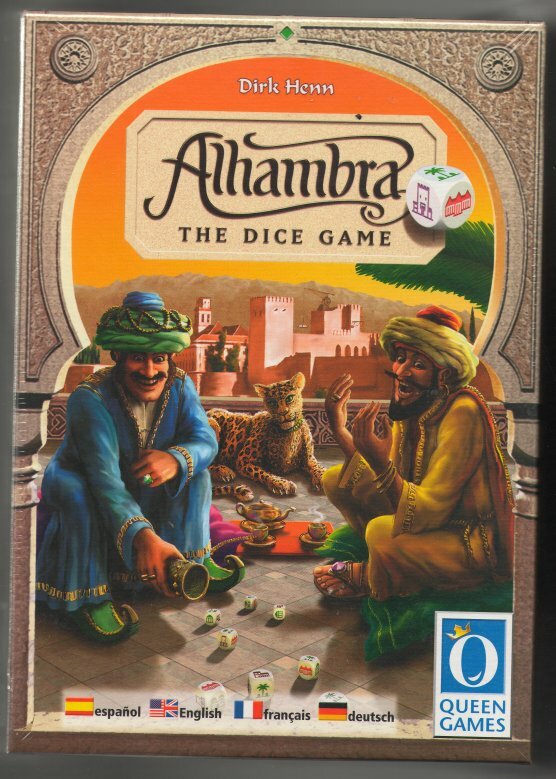 If you already have the Game of the Year 2003 â€œAlhambraâ€�, a whole new game possibility opens up for you. By using the building tiles you can play the Alcazaba-variation, giving you a completely different, more tactical feeling to the game. The adaptations to the rules, as well as the rules for 2 players are to be found in the second booklet. Still is a fast and fun push-your-luck game, with custom dice. Despite the name, there is no need to be familiar with Alhambra (the board game) to appreciate this game.